Permit, Tarpon or Bonefish?? Take your Pick!! The weather and the fishing continue to be outstanding,, especially for February.. If you are here in the keys now, you have hit it right,, Temperatures are near 80 degrees.. This make the fish and me very happy! Sherry Teauge with her first permit of the year!! Permit fishing has been very good and will continue to improve..
My friend Jack Teauge with Finatic Charters sent me this pic.. Sherry got her first permit of the season several days ago.. Congratulations Sherry! Still a lot of cudas on the flats! Speaking of Jack ...Here is a cuda Jack caught when we were fishing together a couple days ago.. These are fun!!! ?Warmer temperatures have also made for some good bonefishing.. 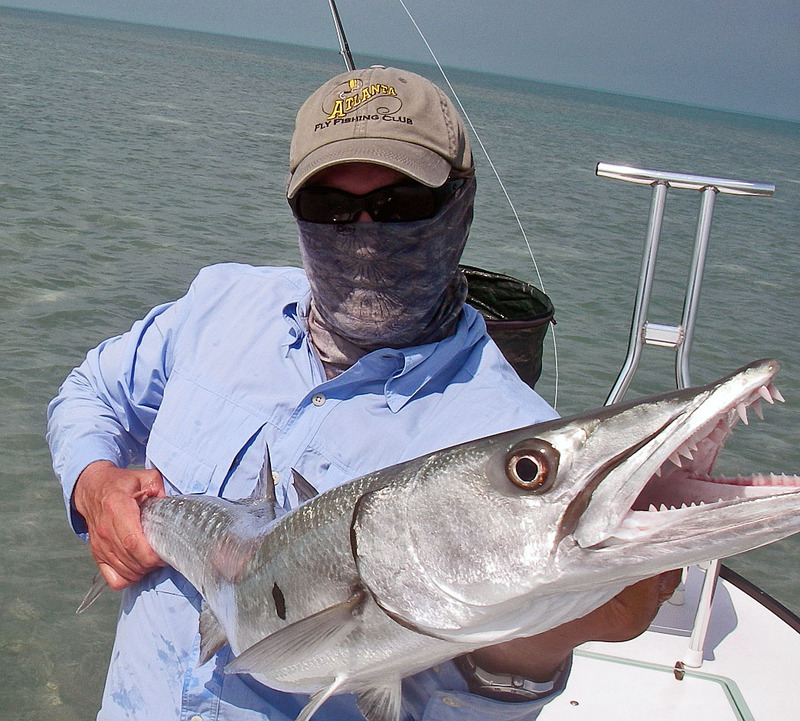 Even better.. the warmer temperatures have made for some great early season tarpon fishing... The boats live baiting in the channels have been doing well on tarpon.. 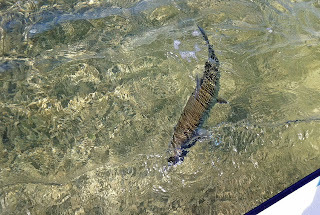 It has been warm enough to sight fish tarpon in the basins and flats.. Been finding some 6 foot tarpon in the warmer places! !